by Michael Selinfreund, Esq. 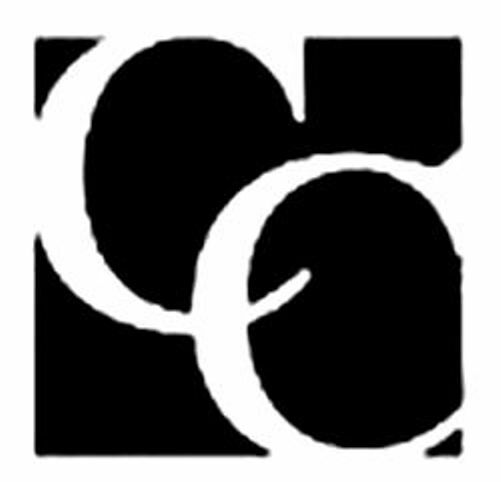 President/General Counsel at Cherry Creek Title Services, Inc. The Dodd-Frank Wall Street Reform Act, found at 12 U.S.C. 5301 – 5641, passed by Congress and signed into law on July 1, 2010 by President Obama precludes parents not in possession of a mortgage originator’s license from providing a residential mortgage loan to their children to assist them in acquiring a home. This is the case regardless of state law. So, for example, in Colorado where I live, Colorado’s Mortgage Loan Originator Licensing and Mortgage Company Registration Act found at 12-61-901 et. seq., carved out an exception to the licensing requirement for parents acting as loan originators in providing residential mortgage financing to assist their children in buying a home. See C.R.S. 12-61-904 (1)(b)(ii). Dodd-Frank makes this exception of no effect. Not only does federal law trump state law pursuant to the Supremacy Clause of the U.S. Constitution, but a specific provision was inserted into the Dodd-Frank Act in § 5551 which states that state law only applies when it affords greater protection. The result is that regardless of the state, now a parent possessing the resources to loan their child money to acquire a home is supposed to engage a licensed mortgage loan originator to process a residential mortgage loan being made to their own children. Besides it being virtually impossible to find a licensed mortgage loan originator that will process a one-time private loan, if one is found, the loan costs will increase dramatically. One would have to look far and wide to find incidences of parents taking financial advantage of their own children when acting as their mortgage lender. And if the government feels the need to protect children from their own parents in a mortgage transaction, then surely it should be sufficient if the children were required to procure independent legal representation. Nonetheless, that is not the case. Since it’s virtual impossibility to find a licensed MLO who can process the loan, and the costs will increase dramatically, Dodd-Frank has effectively blocked many parents from assisting their own children with a residential mortgage. Co-signing isn’t always enough to qualify many borrowers with insufficient income of their own, bad credit, recent bankruptcies or insufficient work histories. And, it isn’t the answer when the parental loan is motivated by the parent seeking to assist their child in avoiding expensive loan costs such as processing fees, appraisal fees, title fees, loan closing fees, underwriting fees, origination fees, credit report fees, discount points and other such costs incurred when dealing with a traditional lender. Maybe the child lacks sufficient funds for a down payment sufficient to qualify for a traditional mortgage. There are many reasons for a parent to wish to assist their children by being the mortgage lender when their children acquire their home. Dodd-Frank did provide for exceptions to the licensing requirement so the omission of the parental exemption was either intentional or just a reckless job of crafting a voluminous law. 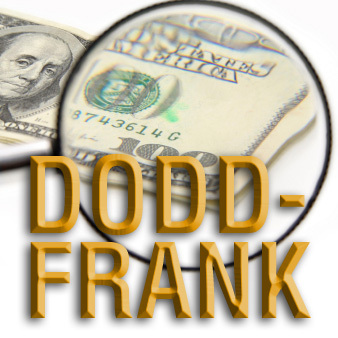 Dodd-Frank does provide two exceptions of note for a non-licensed party to originate a mortgage. The first one allows a seller of property to carry back financing for just one residential property in a twelve-month period to a borrower or borrowers that have not showed any evidence of their ability to repay. Under this exception, the seller isn’t considered a loan originator requiring a license as long the seller is a natural person, estate or trust; owns the property; didn’t construct or act as the contractor of the residence and the loan terms are restricted as well. There cannot be terms that may result in a negative amortization; restrictions on balloon payments, and it must be a fixed rate or an adjustable rate with codified limitations. And, Dodd-Frank could have easily provided a similar exception giving parents the ability to make such loans to their children, and the one loan per year limitation shouldn’t apply in parent to child loans since many parents have multiple children. Similar restrictions on the loan terms would give children the same protections as third parties in a sale scenario. The second exception allows a residential property seller to sell three properties a year and carry back financing, subject to similar restrictions as the one property exception, provided the seller makes a good faith determination that the buyer/borrower possesses the ability to repay. This requires the seller to procure such items as their payroll statements, credit reports, tax returns, proof of employment, proof of funds and to perform a debt to income analysis like a professional lender. 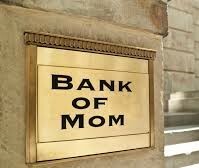 Again, Dodd-Frank could have carved out a comparable exception for parents assisting their children by providing purchase money mortgages whereby the parents also had to “qualify” their children, but it did not. Although the two exceptions are very similar, they are not identical. One example is that an artificial entity such as an LLC or corporation can never avail itself of the one property exception and is limited to using the three-property exception. For whatever reason, a person, trust or estate can do one non-qualifying mortgage in a sale context per year, but an artificial entity cannot. Of course, the entity could transfer the property to a person prior to selling the property, but even that may considered a questionable move. Keep in mind that Dodd-Frank Act applies to residential mortgage loans and not to loans secured by vacant land, commercial properties, non-owner occupied residential properties, rental properties or properties used for investment purposes. Further, Dodd-Frank does not apply to non-consumer buyers, even if the property being purchased is a residential property. Examples of non-consumer buyers are: corporations, limited liability companies, partnerships, etc. So, if the children utilize an artificial entity to acquire the property such as an LLC, Dodd-Frank’s onerous restrictions would not apply. Although doing so would likely result in the loss of the mortgage interest deduction while the property is titled in the LLC or comparable entity (although a specific form of trust may retain the interest deduction, that is beyond the scope of this article and the author’s expertise), months later the LLC could transfer the property to the individual LLC members with the members either assuming or taking subject to the loan thereby giving them the benefit of the mortgage interest deduction. Although, it’s always possible that such a move could be challenged as part of a scheme to avoid complying with the law, that would be highly unlikely in this author’s opinion. Another possible option is for the parent(s) to acquire the property directly rather than act as a purchase money lender. Then, the parents after a “reasonable” time sell the property to their child availing themselves of one of the two exceptions enumerated above. It is worth noting that Dodd-Frank specifically states that a lease option where an owner rents out residential property to a tenant and gives the tenant an option to purchase the property after a specified period may also be subject to the Dodd-Frank Act if any of the rental payments are used as a credit toward the purchase price or create ownership equity in the property. So, during the parent ownership/lease period, it would be prudent to avoid creating a lease option or to create one where no portion of the rent payments go toward the purchase price. Other advantageous purchase terms (such as reducing the price accordingly) can make up for the lack of the ability of being able to give one’s own child the ability to apply all or some of the rent toward the price in a lease option without triggering the onerous restrictions of Dodd-Frank. In conclusion, the provisions of Dodd-Frank are rather new, complicated, contradictory in places and provide for severe consequences for violations. One can make up to three mortgages to total strangers in any twelve-month period when selling a home, but loans to one’s own children to acquire a home were not excepted from the law instead requiring parents to engage a licensed Mortgage Loan Originator. I’m not advising the reader to employ any of the tactics presented in this article to avoid the requirements of Dodd-Frank as this discussion is provided for informational purposes only and not intended in any way as legal advice. One facing this issue should discuss these and other options with an attorney skilled in real estate and knowledgeable about Dodd-Frank and any other federal or state laws that may also apply when originating mortgage. Dodd-Frank prohibits parents from providing loans to their children in order to buy a home. 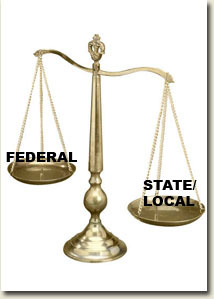 Although state laws may approve, Federal law trumps state law.